$13,671.00 This may be in stock for quick delivery; please call! Developed in collaboration with Professor Carlos Crespo, the Hans Hoyer Wagner Tubas have been the choice of the Bayreuth Festival Orchestra since 1996. 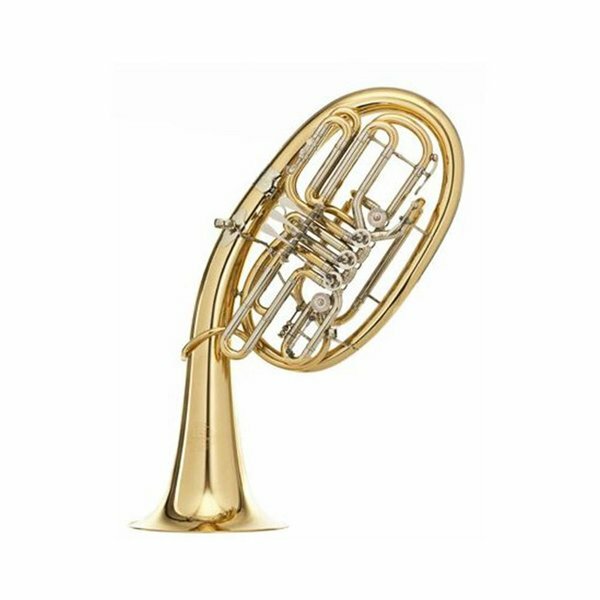 Noted for being free blowing instruments with excellent intonation, these tubas are winning acclaim among orchestras throughout the world. The model 4826 double tuba is gaining popularity as it is a fully developed F/Bb instrument which allows the player to quickly adapt during the change from horn to tuba without relearning fingerings.